Vacuum ejectors are not just useful but they are quite powerful when compared to a typical vacuum generator. This is mainly because of their simple design and efficiency that makes them so much better and easy to use. Since these products work in a very different way than a typical vacuum generator, they come in multiple configurations that aren’t so common among their competitors. The basic configuration that vacuum ejectors will come is the Single-phase and Multiphase. Before we dive into what the difference between these configurations is, let’s first have a look at the basic principle and how they work. Gas Powered RC cars have been among us for at least 20 years, but for some reason they aren’t quite popular because of the nowadays technology in the market and has skipped over to electric powered and nitro vehicles. Further more you can visit any kind of internet store or your own local hobby shop to find out that there will be only nitro and electric vehicles leaving the gas powered rc cars market untouched. SwellRC has written up a nice list of these gasoline rc cars. But I’m happy to say this – everything has changed quite a bit since of the release of HPI Racing Baja 5B, which is quite possibly the best in it’s niche. HPI has put a lot into this Baja with investing a lot of man hours in the design and overall performance of the vehicle. The result that HPI achieved is a durable, relatively cheap and high performance offroad gasser which is in a large scale – 1/5. I’ll be testing HPI Baja 5b and tell you why it’s so underrated as well as what upgrades you should get or what are the disadvantages. The manual says there is no need of engine break in, but I chose to break it in properly. I drove it around for about 30 minutes on half to low throttle, so the piston gets adjusted to the cylinder walls. Once this was done I unleashed all the power from the fuelie 23 cc engine and it spit out beautiful stream of sand behind the big rear wheels. This Gas Powered rc car is a rear wheel drive buggy and this makes the handling very unique. Mostly you’ll find these kind of buggies in 4×4, but not the baja 5b. You’ll have to master every corner in order to not spin out especially on wet tarmac, as the rear wheels lose grip very fast. You’ll soon notice that playing with throttle will be very important if you plan on racing with the buggy. To end this review I’ll say this – the Baja 5b is a truly one of it’s kind that gives the best level of performance and excitement. The buggy will go anywhere, meaning it’s drivable on any surface, like tarmac, sand, grass, mud, snow and etc. The gasoline engine will surely put a smile on your face as you rip and throw sand around the race track(or anywhere you drive). 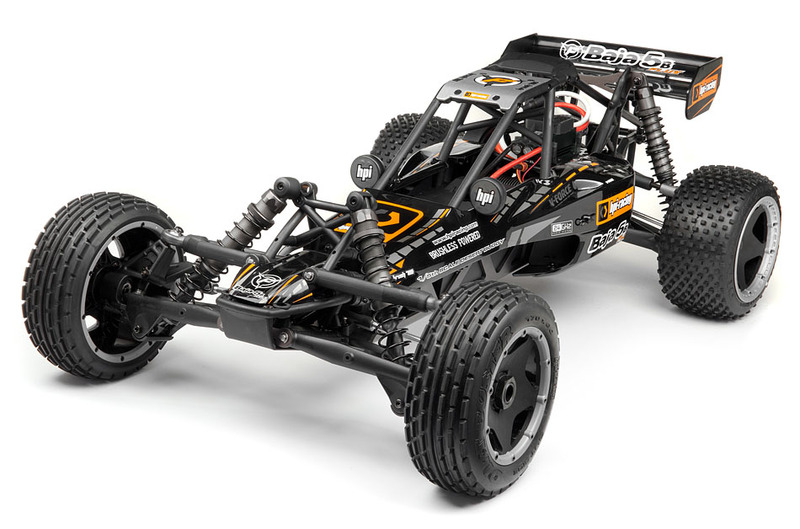 If you’re looking for gasoline powered rc cars I suggest to look at the HPI Baja 5B because it’s the best racing and bashing vehicle for the money. Tags: Gas powered rc cars, HPI Baja 5b. If you are familiar with what a CNC Milling machine is, then you will know that the CNC machines comes in a wide range of configurations and can work in more than 3 axis. Specifically, they can work in up to 5 axis. Now what most of the people ask is which one of these 5 axis are? Surely, we know what the 3 axis are i.e. X axis, Y axis, and Z axis. But what confuses most of the people are the other 2 axis that the CNC Milling machines can work on. The fourth and fifth axis that the CNC Milling machines are configured for is the rotation among the X and Y axis. Let’s say that there is a mosquito in your room. You can pin point its location using the 3 axis (X, Y and Z). But if you zoom into the mosquito during its flight, you will have to count its orientation as well. In which way the mosquito is turned to. This leads to the rotation axis around X and Y axis. So the 5 axis that the CNC Milling machine can work are X, Y, Z, A rotation, B rotation. Now one can argue that the machine can work on a 3rd axis too which would be the rotation around Z axis. That is true but including that axis doesn’t bring a lot of beneficial features so usually that isn’t implemented. Tags: 3 axis CNC Milling, 5 axis cnc milling. No matter the occasion, remote control helicopters are a wonderful gift or investment. When you’re in need of something that catches the attention of those around you an RC helicopter is the best way to do so, probably an electric rc helicopter will be a better present instead of a gas powered rc helicopter , because they are intended for experienced flyers and would be a shame if a beginner crashed it. If you’re looking for rc helicopters for kids then swell rc has reviewed some of the best ones out there. With a wide variety of colors, sizes and styles there is sure to be a model that fits you just right. There are remote control helicopters with a variety of blades, arms and styles, letting you browse through them to find the one you want. Remote control helicopters are great for any occasion, birthdays, holidays or family events. They capture the wonder and interest of the people around them and are the focal point of every event. When it comes to remote control helicopters, you need to look at and understand the specs, so you know if you’re getting the best for your money. Paying attention to what exactly you’re looking at is important, but it’s also important when looking for a remote control helicopter to look at the reviews that people have placed. They will let you know how the product performs, and would help you choose the best remote control helicopter for you. With the reviews and knowing what the specs mean you can choose the best remote control helicopter for you, at the price that you plan on spending. Making sure that everything lines up well with your needs and ensuring that the remote control helicopter that you buy is just right for whatever you need it for. Remote control helicopters can be used for a wide variety of events. One, especially a large one will be able to capture the attention of just about any crowd. At a family gathering there is a mass of people, and a flying toy, especially in the summer, is perfect to entertain children with an outdoor helicopter, even if an adult is at the controls. Remote control helicopters are also perfect as a gift for any age. From children to collectors there are masses of people who find entertainment in these amazing flying vehicles. These remote control helicopters can be holiday gifts, birthday gifts, or anniversary gifts for any remote control helicopter enthusiast. There is nothing better than being able to entertain the people around you and now that there are even cameras attached to the helicopters, what more could you want? When you’re looking for a gift or distraction for an event, a remote control helicopter is the best way to distract those around you. It’s a perfect gift for anyone, of any age, from the collector to children and teens. Remote control helicopters will attract wonder and joy to any occasion, as long as you get the right one. Paying attention to the model, size, reviews, and specs is important to make sure you get the best remote control helicopter for your needs. No matter the occasion, a remote control helicopter is the best way to celebrate, it draws in the wonder and attention of the people around it, and makes the event, even more splendid than it would have been. Tags: electric rc helicopter, gas rc helicopter, rc helicopters for kids. How To Get Rid Of White Spots On Teeth product could be the most effective solutions for your discolored teeth. Another good thing about this is you control how much peroxide is going to be used. If you have sensitive teeth, you can choose to utilize a small amount every time so you won’t have to experience detrimental after effects and still contribute in whitening your teeth. Need more information on teeth whitening? Then click on How To Get Rid Of White Spots On Teeth and read the best teeth whitening product for now! Tags: How To Get Rid Of White Spots On Teeth. Hey, It’s a Blog Post! My brother spent all this time designing this new website so I better at least post something otherwise he might kick me in the balls. I prefer not to be kicked in the balls despite what some people might tell you. Anyway, so you haven’t heard from me in a while. You may have thought I was attacked by a gang of angry midgets who kidnapped me and brought me to their magical angry elf kingdom, but that’s not true. Although it does sound like a lot of fun, except for all the poking, prodding, and ankle biting. Get to the point Massey, get to the point. Okay self I will. However, I will be back in the states next week and prepare yourself for a barrage of new videos! Okay maybe not a barrage, more like a light drizzle, but NEW CONTENT nonetheless. Nonetheless is a weird word. It’s like 3 words in one! Crazy English language! Damn it Massey keep on track! Right self, done! So I apologize that there hasn’t been any new content lately! It hurts my soul, but I’m looking forward to getting back to society and interacting with you guys! Thanks so much for watching and reading, and if you actually made it to the end of this blog, BRAVO! You either really like me or your bored as hell. Probably the latter. The eye captivating Zenfone 5 Lollipop is loaded with plenteous superb features: It comes with an amazingly minimalist and sleek outlook which resembles a lot the expensive and ambitious range of PadFone, however zenfone 5 retails at a very affordable price. It does sound marvelous, and it really is! Following is an in-depth review of this phone, which will reveal some of the other mindboggling features which are packed in this smartphone. So, first of all have a deep look at its design. Unlike the aesthetic design of the PadFone series, the latest Asus Zenfone 5 Lollipop update devices are pretty clean and simple. It has beautiful rounded edges, three touch sensitive push buttons which are located right at the screen’s bottom and a curvy back which is manufactured with high quality soft plastic. The 5 inches gigantic HD display features the resolution of 1,280×720 pixels, for the density of two hundred and ninety four PPI, which is certainly respectable. In the simple design of Asus Zenfone 5 Lollipop, there is only one thing that manages to stand out. It is a shiny metallic band which is present right underneath the touch push buttons, engraved with a stunning circular concreted pattern. It might not even be worth mentioning that this metallic band does not put any sort of positive or negative impact on the phone’s grip. However, still it is a great pro, since it provides a bit of premium touch. The back cover’s removable, though the battery of 2,110mAh capacity is embedded. In other words, by removing the rear cover all users can do assess the slots of MicroSD and dual SIM cards. In addition to it, the back side of Zenfone 5 Lollipop handset features a camera of 8 megapixels as well as outstanding audio speakers. The overall weight of the smartphone is around one hundred and forty five grams and in hands it feels pretty solid, which is a considerable plus for those who like to do loads of messaging. Featuring a camera of 8 megapixels on its back, zenfone 5 lollipop update makes use of the PixelMaster technology of the Asus, which the brand claims that it delivers professional and superior quality photos. Its camera possesses a 5-element lens and an aperture of f/2.0. Moreover, Asus has loaded a whole plethora of features in its camera app. Some of the notable ones are HDR mode, tilt shift and panorama. The handset has a dual core processor which is clocked at two GH. When it comes to the call quality of zenfone 5, then it is simply amazing. The speaker, which is present in the rear side of the phone is quite soft. Originally Asus Zenfone 5 Lollipop runs 4.3-version of Android, but thanks to Asus since anyone can update this handset with the latest version of Android. Another fantastic built-in feature of zenfone 5 is the Asus Cloud technology that allows its users to integrate all of their services of the cloud storage in one application. Tags: Asus Zenfone 5, Asus Zenfone 5 Lollipop, Asus Zenfone 5 lollipop update. The Crew is definitely definitely an fascinating game because the single player strategy can take almost twenty hours to complete and it requires moving across the country and tackling with different criminal groups around the way. The experience is without a doubt filled with excitement with intense worries to overcome just like weaving via the gates. The Crew would be the wonderful game which will take part in quite possibly if you are exclusively with mates or alone but connected on the internet. The story of the experience the Crew is quite identical with this of the need for speed. The crew hack methods are employed by the online players to get an advantage within the game especially when participating in an online atmosphere. The Crew hack method aids you prosper within the game as it enables you to enjoy unlimited amount of gold and cash. The Crew hack resources offer the competitor an advantage of unlimited gasoline that in return aids in generating long gap runs. The crew hack instrument not simply helps you get limitless quantity of gold and money or bucks but in reality it assists you in removing the lock on most recent vehicles that other opponents can’t get without spending some funds. The Crew hack methods will be the best software program which allows you to delight in complete characteristics of the adventure free of cost. The crew hack programs are widely out there on the internet and typically they may be free in order to download and set up. The crew hack software is wonderful software program that lets you delight in capabilities of the experience without spending a one penny. The genuine version of the crew might be usually accessed if you possess the genuine The Crew Serial Key. The amount for the crew cd key could be produced through the bank card or debit cards. The particular Crew cd keys are out there in unique prices according to the region of distribution and attributes of the cd. It truly is without a doubt painless to search for the Crew cd key on the net but be cautious with respect towards the hoaxes around the internet. The crew game takes you on a huge recreation ride but the game is certainly usually enjoyed to its maximum if you possess the genuine the crew cd key. For experiencing the full feature of the experience the Crew the users will have to get The Crew CD Key from the genuine and trustworthy web pages. The crew key generator is definitely the fantastic application that not only builds one item keys but the fact is without a doubt it builds a large number of product keys. The Crew key generator is without a doubt the perfect program for increasing free of cost fast access for the auto racing game. The Crew key generator is without a doubt software program that may be quick to get by way of the internet. The Crew key generator has a huge number of keys stored for you however it requires hit and trial process in looking the appropriate important. The crew key generator assists you save a whole lot of funds that would preferably be spent on ordering the item important in the author of the overall game. Tags: The Crew CD KEY, The Crew Serial Key. I grew up as an 8-bit gamer. While I love how far video games have come over the years, and am in awe of CGI technology, I get a bit nostalgic sometimes. I decided to make a blanket using left over fleece and felt of one of my all-time favorite video game characters, Yoshi. I wanted it to look 8-bit. I made this blanket by sewing together “pixels,” individual squares, in a Yoshi pattern. It is now my favorite blanket to curl up with on cold evenings. I used a mixture of fleece and felt that I had around the house. This makes washing the blanket a bit difficult, but I didn’t have to purchase any material. I just used what I had, which is why I chose to do a blue Yoshi. For a more professional looking blanket, use fleece. It is soft, washes well, and is easy to work with. I used dark thread on the dark squares, and light thread on the white squares. You can match the color of the thread with the color of the squares, but I’m lazy, and I didn’t want to thread the needle that often. I used a cross-stitch pattern generator. It takes a photo and turns it into a cross-stitch pattern. Since cross-stitch patterns have individual squares, a square for each stitch, it is perfect for an 8-bit video game character. Each square on the pattern becomes one “pixel” for the blanket. Choose a photo of your favorite classic video game character. Make sure it is a simple photo, one without too much detail. Since this is an 8-bit video game character, that shouldn’t be too difficult. Go to Coricamo Photo to Cross-stitch Generator. Load the chosen photo. Change the pattern size. The numbers you see represent the “pixels” for our purposes. If the box says the width is 100, that means 100 squares across. You do not want that many squares so change the size. Why? You’re going to cut out a 2-inch square for each “pixel” and sew them together. One hundred multiplied by two is two hundred. That means the blanket is 200 inches across. Yikes! Decide how wide you want the blanket, by measuring your bed if you like, and divide that measurement by two to determine the width. Do the same with height. My blanket is 25 pixels by 30 pixels, for a final measurement of 50 inches wide and 60 inches long. Change the max color count, as well. You don’t want 30 colors because that won’t look 8-bit. Choose 5 to 8 colors and then hit “Generate.” Click on the “Display pattern as” box and choose “Colors only.” This removes the stitch symbols you won’t need. You can always go back and try a different number of colors until you get the result you like. Print the pattern or save it as a PDF using a PDF reader. Count how many squares you need for each color. Yes, that is many tiny squares, but it is worth it. Look at the blanket. You know you want one, too. Cut out enough 2-inch squares for each color. You don’t have to be perfect. Use a ruler to cut out one square and then use that square to cut out the rest. This is the most boring part of the project. For my Yoshi blanket, each color took less than 1/2 a yard of material, so you don’t need lots. Yes, you can make the squares smaller or larger. It’s up to you, but just remember that it changes the size of the finished blanket. My Yoshi blanket is hand-sewn, which is another tediously boring task. I tried using the sewing machine, but that was worse. I worked on the blanket while watching TV in the evenings. Sew one square at a time, going row by row. Do not sew individual rows and then sew the rows together because the squares might not match up unless you cut every single one perfectly. That’s unlikely. Follow the pattern so you choose the correct color square. To sew the squares, press two squares together so that the edges match up. Sew, using the whip stitch, along one side of the squares. Open up the squares so that the side with the stitches faces you. This is now the back of the blanket. Always sew on that same side or else you’ll see the stitches on the front. Sew the third square to the second, and so on, until the row is complete. Start the second row by sewing a square to the bottom of the first square of the first row. Sew the next square to the first and the one above it. Keep sewing pixels until the squares are gone. You don’t want to see those stitches on the back of the blanket. Cover them up by sewing fleece to the back. You can use fleece the same size as the blanket, as I did, or larger so that it frames the blanket. Luckily, this is a perfect task for the sewing machine. Now you can go curl up with Yoshi, or Link, or Mega Man, or whatever you chose.